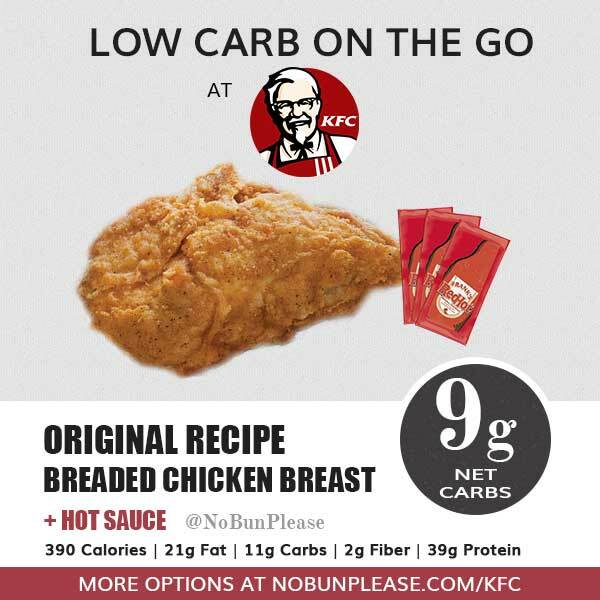 Keto at KFC? Yep, you heard it right! While KFC has been turning out finger lickin’ Kentucky fried chicken since the 1930’s, the menu has evolved over time to include many different options. Surprisingly enough, you can eat pretty well here and still follow the low carb guidelines of the Keto diet. Be mindful of the sides — the coleslaw has a whopping 10g carbs. Order your chicken with sides of hot sauce and the Buttermilk Ranch dipping sauce. SO. GOOD. KFC not your cup of tea? How about Wendy’s or McDonald’s, instead? For the most part, the fried bone-in chicken can be included on a Keto diet, but it isn’t necessarily the best choice. However, after learning that I could potentially eat two breaded chicken breasts or thighs and still maintain a state ketosis… I was shocked. Obviously if you are avoiding gluten, this probably isn’t a good choice. While it may seem like a good splurge, the only wings worth getting are the original Hot Wings. Avoid the Fiery Buffalo (5g carbs per wing) and HBBQ Hot (9g carbs per wing). Enjoy the usual — diet soda, water, or unsweetened iced tea. 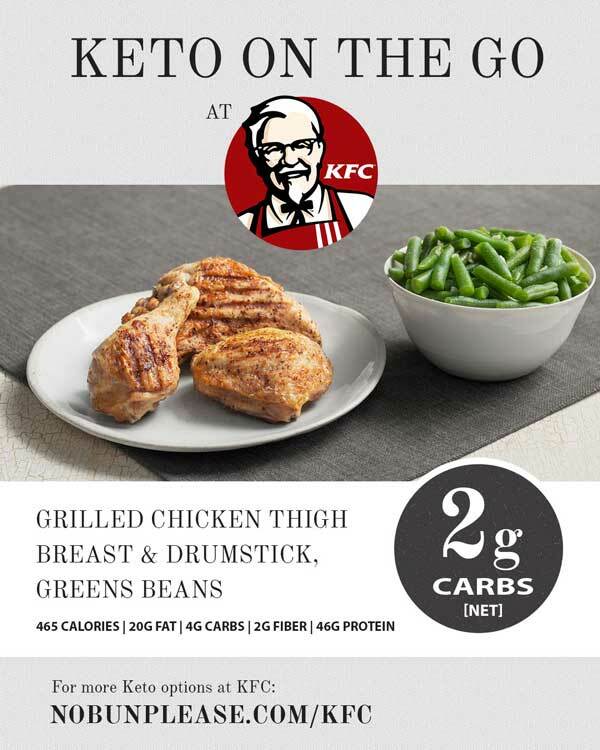 All nutritional information from KFC’s Meal Builder. Want a printable version of all eating out guides? Get the entire collection for just $9.99 + an updated version every time I add a new guide. Your purchase helps keep No Bun Please up and running for absolutely FREE!